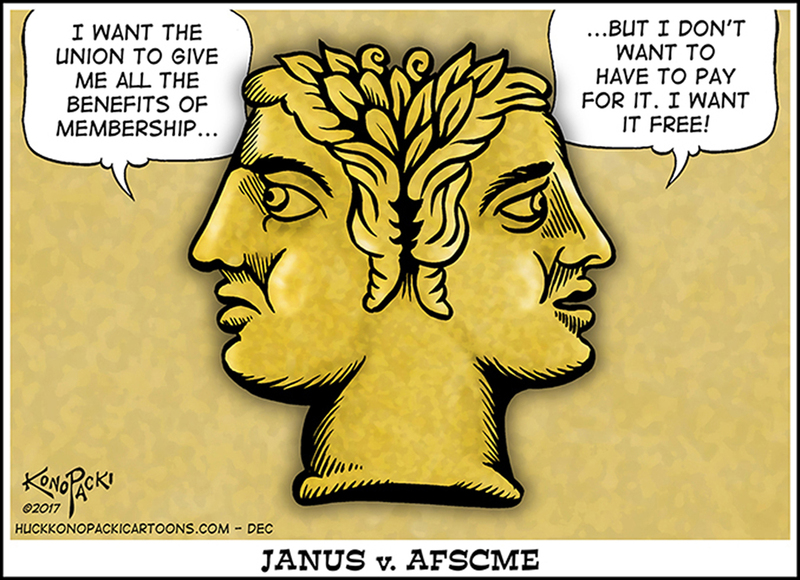 In approximately six weeks, On February 26th, the Supreme Court will hear the now infamous Janus vs AFSCME case that will, in all likelihood, have major implications for public sector unions across the country including the UFT. Our opponents brought this case to the Supreme Court because they are trying to defeat us through the Court System as every other attempt has failed. They want to take away our rights and benefits, and will argue that nonmembers should not be required to pay their fair share or agency fees to cover their portion of the costs associated with collective bargaining and union services that benefit all employees in the bargaining unit. Emphasizing the benefits of union membership, being “union proud”, door knocking, organizing, advocating for our members, and working with other labor unions and politicians across our state are but a few of the ways UNITY/UFT is preparing for an adverse ruling in the Janus case. Unfortunately, if people want a “free ride”, we will without question nor hesitation lose most, if not all, of these benefits. Standing together and taking care of each other- this is what it means to be in a union. This is what the UFT represents. This is the standard that UNITY/UFT strives for in every battle that we wage. Rest assured, even with a Janus loss, UNITY/UFT will live to fight another day. More attacks. More fighting. The UNITY Caucus of the UFT is again leading the charge in multiple battles to protect our members. These clashes are taking place at both the local and national levels. The GOP tax plan that was rammed through the Senate literally and figuratively destroys what is left of the American Dream. Raising taxes on the middle class and lowering deductions will ultimately decimate the ranks of civil servants, including teachers, police and firefighters, as well as other middle-class professionals. Funding for public education will be slashed across the nation. Additionally, this tax plan will increase healthcare costs exponentially. The Corporations will make more money and the rich will get richer-On Our backs. UFT members spend their days nurturing and supporting children, yet the city’s current parental leave policy forces members to choose between their own children and the profession. It’s time that the city grants UiT members the paid parentalleave they deserve. The UFT has been making efforts to negotiate a fair and reasonable paid parental leave policy with the city since 2015. However we will not allow givebacks or enable the City to make us overpay for this all important policy. Standing together and taking care of each other-this is what it means to be in a union. This is What the UFT represents. This is the goal members of Unity fight for every day.